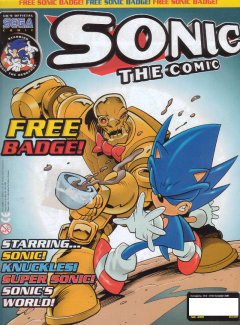 Sonic the Comic #220 is the two-hundred and twentieth issue of the Sonic the Comic series by Fleetway Editions Ltd. Despite the Robot Butler from "DIY Danger" appearing on the cover, the story he appeared in is not featured in this issue. This page was last edited on 18 March 2019, at 17:47.